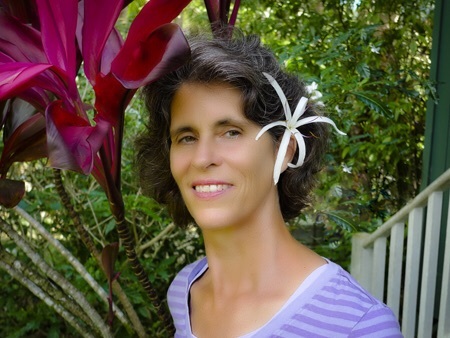 ​My name is Auntie Karen and I have the privilege of care-taking and propagating plants at Kauai Seascapes Nursery. When I am away from the nursery I like to spend my time working with herbs and creating remedies. 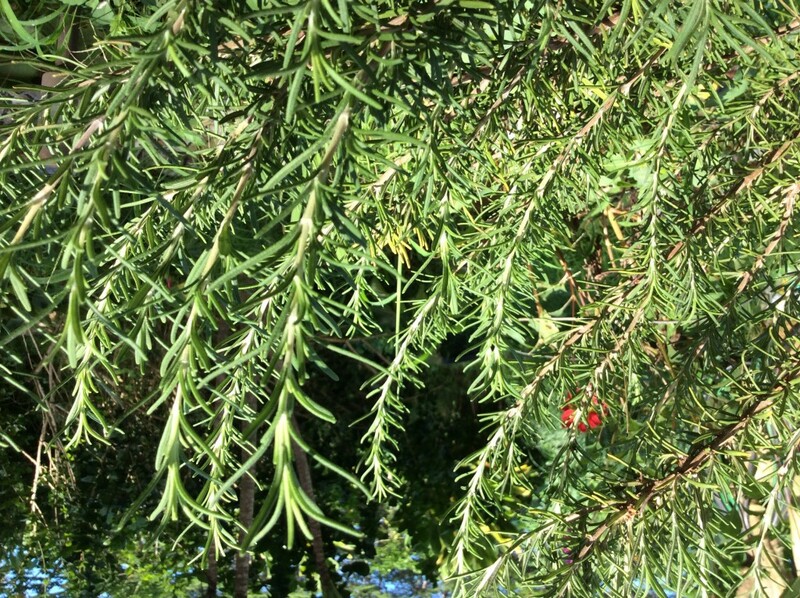 Here follows a brief overview of some common herbs that have medicinal properties that you may already be growing in your garden or have interest in starting to grow. Many of your favorite kitchen herbs have potent healing capacity. Basil aids digestion, helps to alleviate fatigue and serves as a good tonic for melancholy and low spirits. It has a potent anti-spasmodic capacity (relieves or checks spasms or cramps) making it useful for relieving headaches. 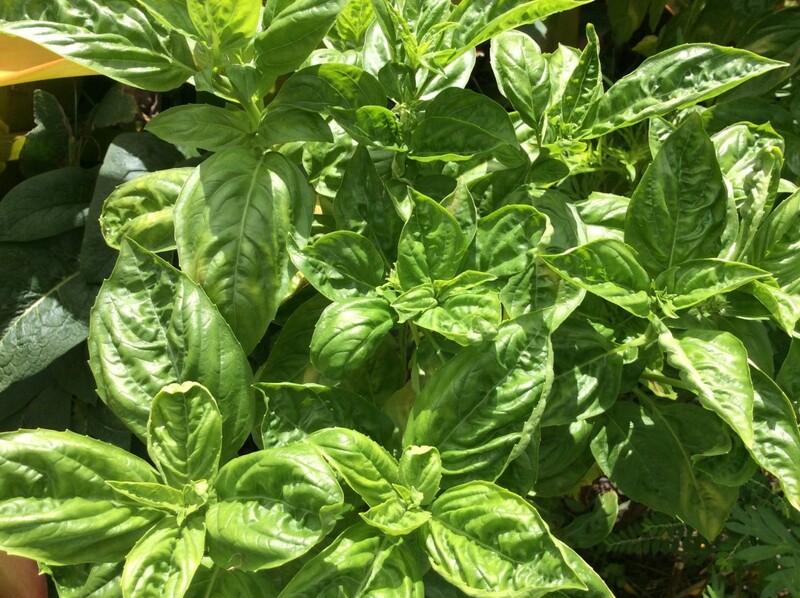 Basil is also commonly used to treat stress induced insomnia and tension as well as nervous indigestion. Dill helps to ease indigestion and flatulence. It is also one of the most well known of old English remedies for infant colic. Rich in vitamin C, mint is stimulating to the mind and creates “wakefulness”. Whiffs of the essential oil and sometimes even the tea will improve alertness and awareness, so it’s useful when driving, when studying, and during times of stress. Mint has an affinity for the digestive tract. It helps to relieve indigestion, gas, bloating, and stomach flu. 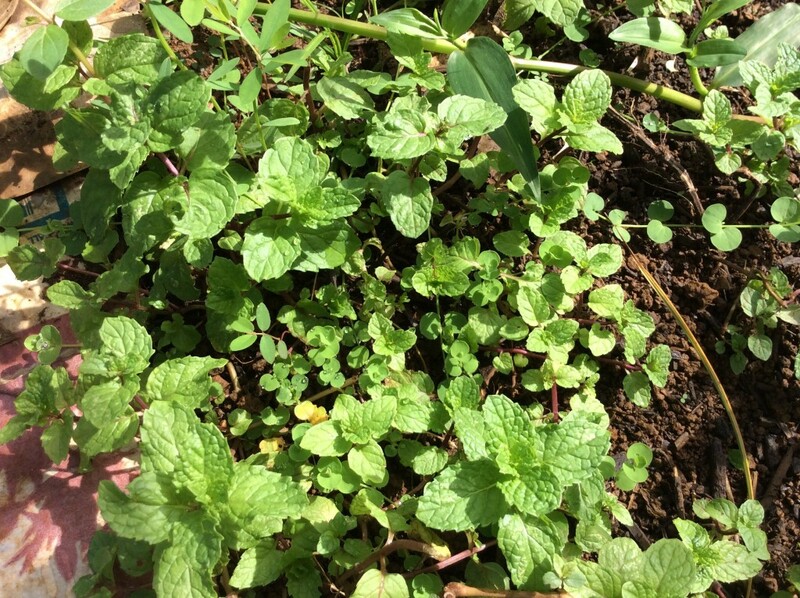 Mint is excellent for relieving nausea, especially travel sickness. The flavor of mint also serves to cleanse the palate and can be used as a mouth rinse after a bout of vomiting. Yes, do eat that parsley garnish! Parsley is an effective anti-spasmodic (relieves or checks spasms or cramps) for the digestive system and acts as a diuretic (increases the secretion and expulsion of urine) that flushes the bladder of toxins. It is also rich in Vitamin C which helps to support your immune system and rich in B vitamins. It helps to alleviate iron poor blood, anemia, and fatigue. Parsley is used to help dry up mother’s milk during the weaning process and is effective as a poultice for mastitis or swollen, enlarged breasts. Because of this, one should forego using large quantities of parsley when nursing as it may slow the flow of milk. 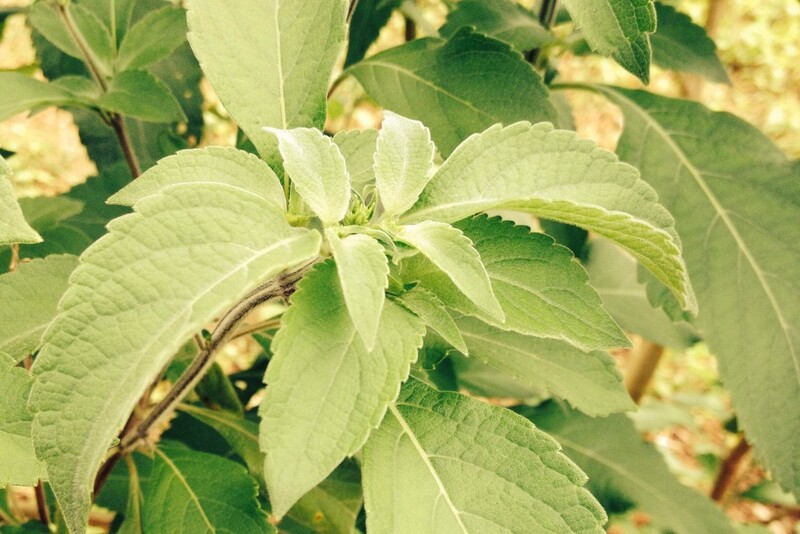 Sage has an affinity for the lungs, liver, brain and nerves. It has anti-bacterial and anti-viral properties as well as being an astringent (contracts tissue, reducing secretions and inflammation), diaphoretic (opens pores and promotes perspiration) and a nervine (calms, soothes, and strengthens the nerves). The leaves are used in formulas to alleviate colds, flu, cough, fever, achy muscles and in tonics to support brain and memory function. One of the best remedies for laryngitis and sore throats. Often used as a spray or gargle. 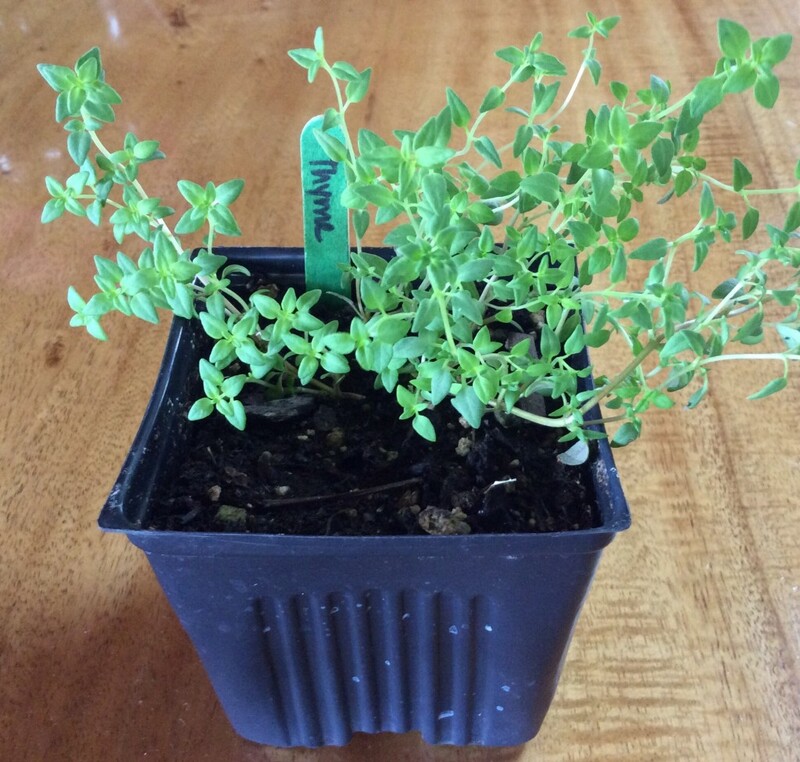 Thyme has an affinity for the sinuses, throat, lungs, and immune system. It has strong anti-viral, anti-bacterial, anti-fungal properties and is efficacious as a germicide. 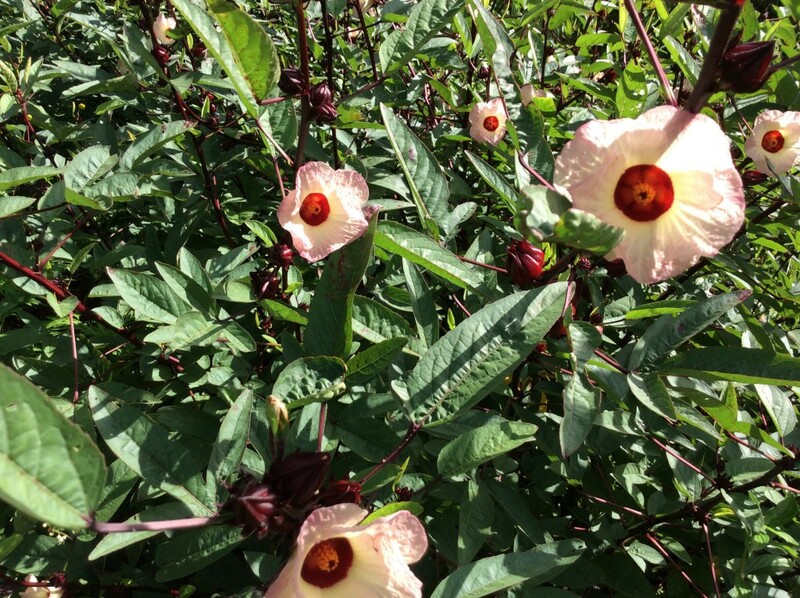 It is used in formulas that address sinus, throat, and lung infections, especially effective for convulsive coughs. Excellent gargle for sore throat. Effective against streptococcus and staphylococcus. 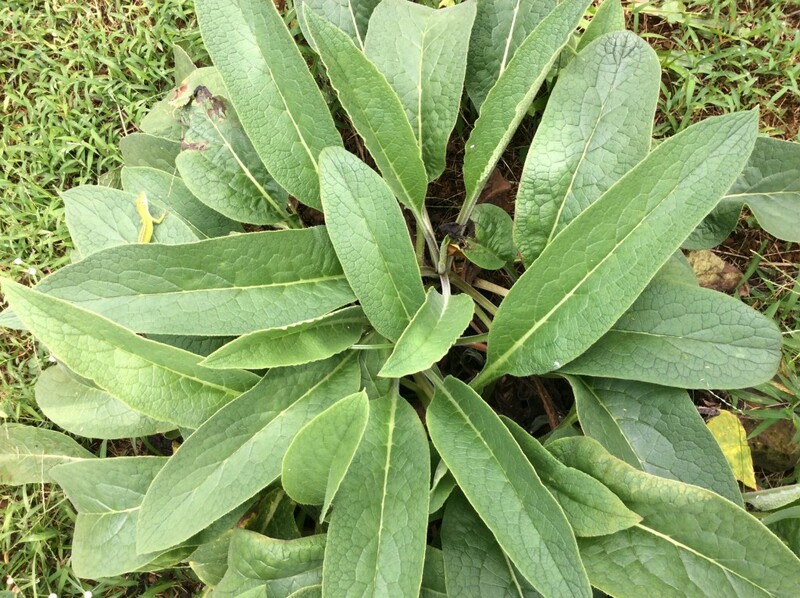 Comfrey is used for its soothing qualities and is a common ingredient in poultices, salves, and ointments. It facilitates and activates the healing of damaged tissue. 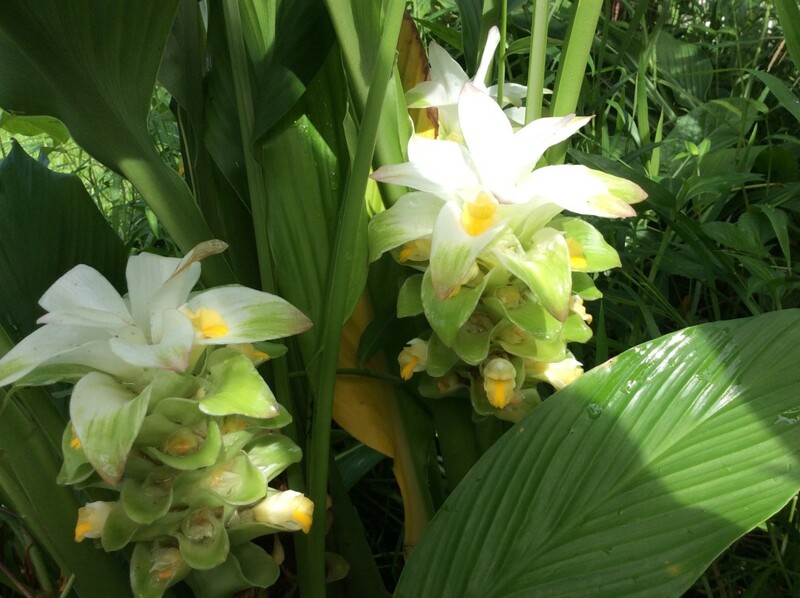 It is prized for its healing effect upon torn ligaments, strains, bruises, and any injury to the bones or joints. 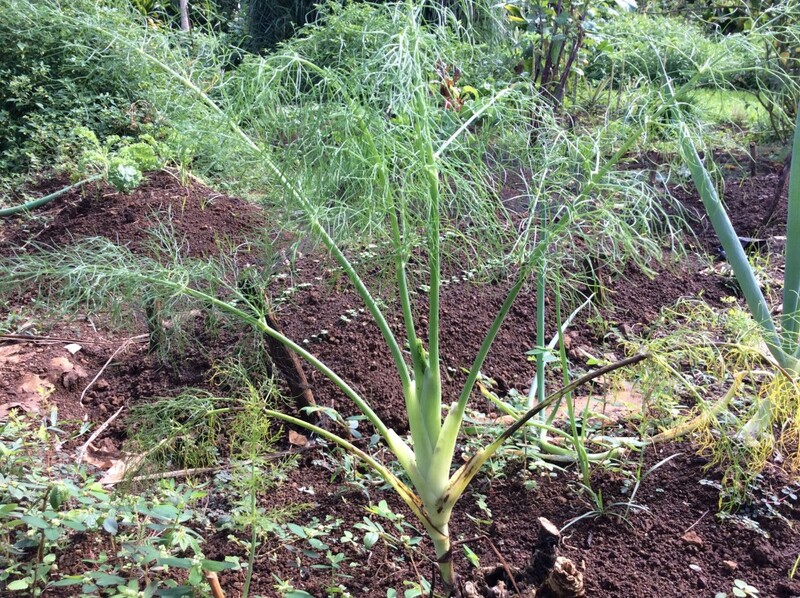 Fennel has an affinity for the throat, lungs and stomach. It stimulates digestion, and regulates appetite. Fennel tea is tasty and can be used to help relieve colic, improve digestion, and expel gas from the system. Nursing mothers can drink 2-4 cups daily to increase and enrich their flow of milk. Fennel tea can also be used as an eye wash for conjunctivitis and other eye inflammations. Has an affinity for the entire system but especially the lungs and blood. It acts as an anti-viral, anti-bacterial, anti-fungal, warming expectorant (loosens expels mucus from respiratory passages). Extremely effective in fighting off colds, flu, and systemic infections. It is also warming and stimulating to the digestive tract, lungs, and circulatory system. 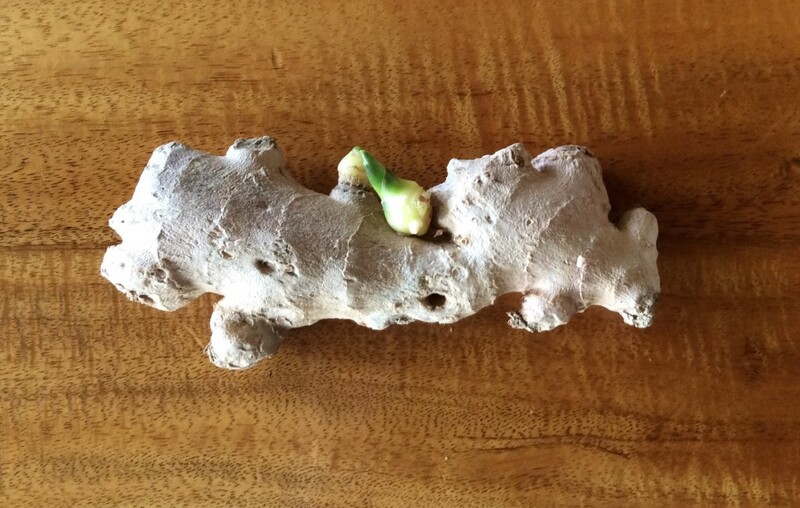 Ginger has an affinity for the throat, lungs, stomach, and circulatory system. It is carminative (aids digestion and expels gas from intestines), anti-inflammatory, a circulatory stimulant, diaphoretic (opens pores and promotes perspiration), and anti-spasmodic (relieves or checks spasms or cramps). It is used in formulas for colds, flu, coughs, sluggish digestion and poor circulation. One of the finest herbs for nausea, morning sickness, and motion sickness. Excellent herb for nourishing the brain, especially when memory loss is involved. Considered one of the finest nerve tonic herbs for stress and debility. It helps to increase mental alertness and vitality by feeding and nourishing the brain. It helps to improve the body’s nonspecific response to disease and stress. 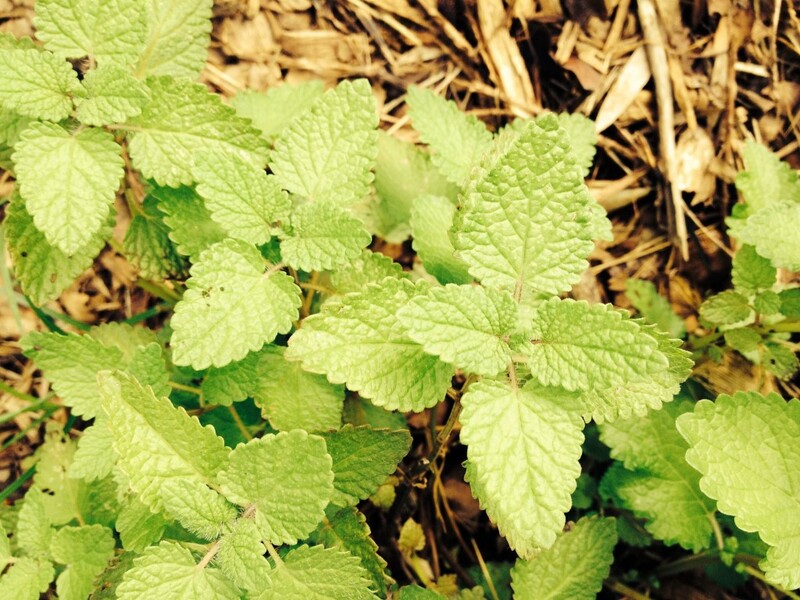 Fresh gotu kola is quite tasty and can be served raw in a salad or infused as a tea. Best taken as a tincture to help with strengthening memory function. 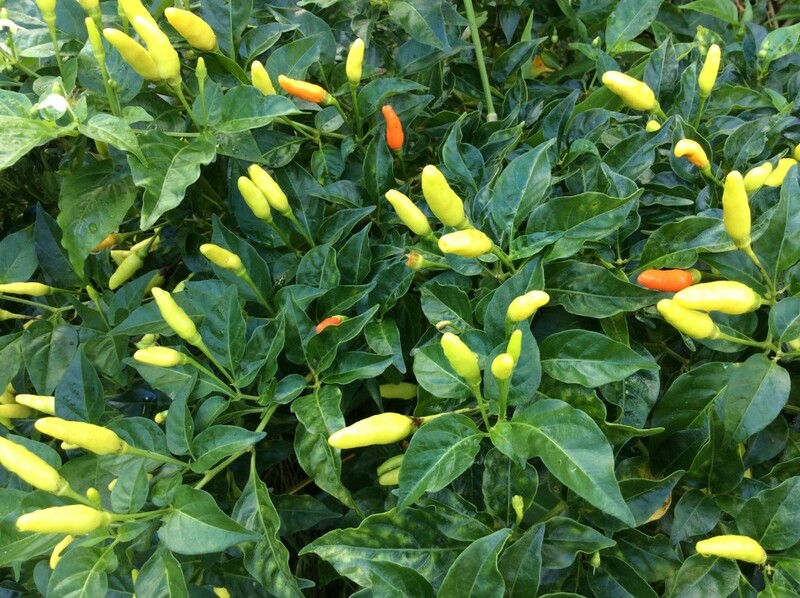 Cayenne acts as a catalyst to the system, stimulating the body’s natural defense system. It acts as a warming circulatory herb and is one of the best heart tonics, increasing the pulse and toning the heart muscle. It is a natural coagulant that stops bleeding. So it is good to have some on hand in the kitchen for when you accidently cut yourself with a knife! High in vitamin C and bioflavonoids ( help to strengthen the walls or our capillaries which link arteries to veins, and allow nutrients to pass through them more easily). Helps to treat mild, colds, flus, bruising and swelling. Use the sepal of the flower and make a tea infusion. As one of the most sacred plants in India, Holy Basil is well used to relieve stress and to create a relaxation response. It functions as an adaptogen ( nourishes the adrenal glands and helps the body adapt to physical, emotional, and psychological stress), enhancing the body’s natural response to physical and emotional stress. Over time, stress can negatively affect the health of the digestive, immune and nervous systems. Use of Holy Basil is an effective way to both prevent and combat the damaging effects of everyday stressors. Lemon Verbena has an affinity for the nerves and stomach. It is an uplifting nervine ( calms, soothes and strengthens the nerves), a carminative ( aids digestion and expels gas from the intestines) and has a cooling effect. It is used in formulas for stress and anxiety, digestion, and to help cool the body. 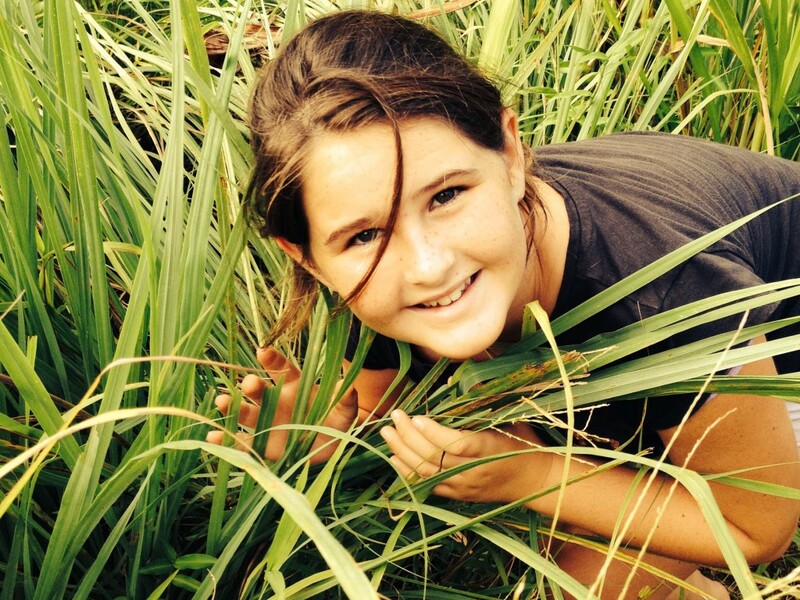 Lemongrass has an affinity for the throat, stomach and nerves. It has a cooling effect upon the body, serves to quench one’s thirst, is mildly carminative ( aids digestion and expels gas from the intestines) and acts as a relaxant. In this hot weather- iced tea with lemongrass in it helps one hydrate and cool off. Excellent immune enhancing properties, especially it anti- biotic activities. It can be used to regulate the menstrual cycle and alleviate cramps, reduce fevers, improve poor circulation, and relieve skin disorders. It is often used in a first aid capacity for burns, sprains, swelling and bruises. 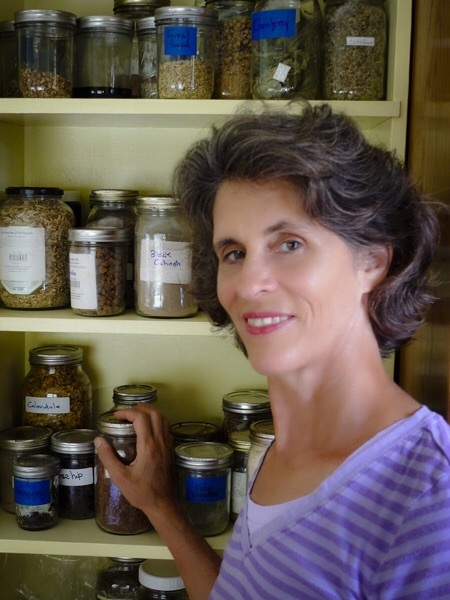 Here follows a list of some of the remedies and teas that I make as a part of Auntie Karen’s Medicine Chest. The remedies below have some of the herbs listed above in them. If you would like to see more details about the remedies listed below please click on the link Aunty Karens Medicine Chest and obtain my current catalog of products. I make all products myself by hand. Mahalo and Good Health to you! What a fantastic and informative article! Great photos !